Are You Ready To Be Able To Have Great Coffee Anywhere? Are You Ready To Be Able To Have Great Coffee Anywhere? Yeah, we’re talking about having Vietnamese coffee wherever you are and whenever you need it. Travelling around Asia we’ve come across all kinds of interesting ways to enjoy coffee. However, one of the easiest and cleanest means to brew out the best flavors of your coffee beans is the pour-over method. More commonly known as the Japanese pour over method the process, which looks fancy, is deceptively simple and most importantly makes a distinctively more subtle and complex cup of coffee as compared to what you would get from a drip machine. In other words, it’s good stuff and you know we’re the kind of coffee loving folk who love to share the good. 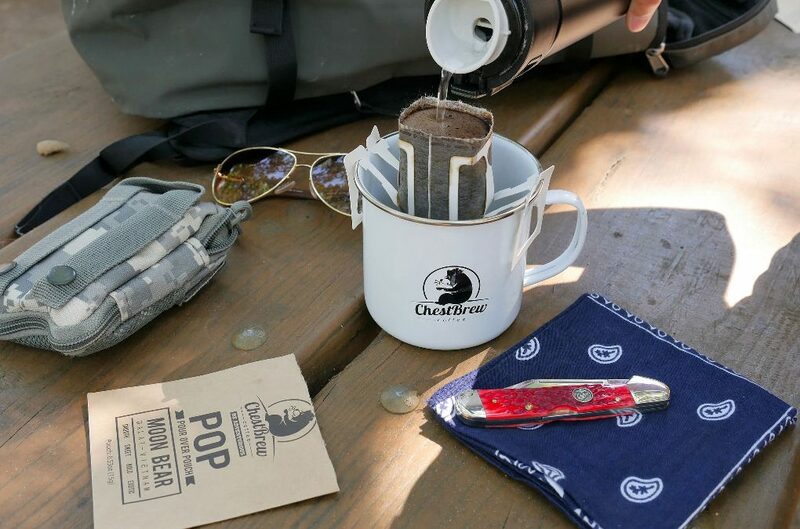 Inspired by our experience, the ChestBrew team went to work to figure out a way to bring coffee loving, adventure seekers the quality of a pour over coffee with the added convenience of being able to have it anywhere. The end result was what we proudly call our ChestBrew POP’s. Each individual pouch has an ultra-portable ready – to – brew filter filled to the brim with our popular Moon Bear Roast that anchors securely to your favorite mug. The only other thing you need is some hot water and you’ve got the makings of one seriously solid cup of joe anytime, anywhere. Check out this video to see just how simple ChestBrew POP’s are to enjoy. You could call it coffee on demand. It’s absolute perfection for all those hard working folks who rely on a ridiculously strong cup of coffee to help them tripe down and get stuff done. Not to mention how great it for those of you who love the outdoors and enjoy hobbies like hiking, fishing and camping and want to do those things with a good fresh cup of coffee in hand. No more cold caffeine-less mornings for you. Say you work in an office where the coffee is just “meh”, or travel and find yourself in hotel rooms debating whether to brew up that mystery coffee. Or maybe you’re a student who finds themself on campus all hours of the day looking for a caffeine fix but also looking (and needing) to pinch your pennies. No matter who you are or where you’re going it’s easy to grab some POP’s and toss them into your bag, purse or pocket for whenever you need that jolt of good quality coffee. Not only that, it’s ideal when you only want to brew up a cup or two. 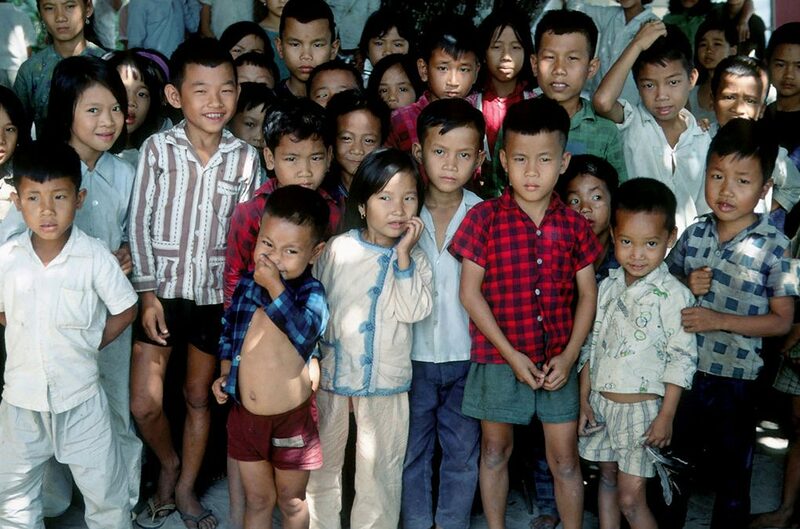 If that doesn’t get you POP’ing remember that as another Project of Purpose, every box of ChestBrew POP’s helps to create great opportunities for hard working Vietnamese folks to have a brighter future. Truth be told we’re completely addicted to those cute little pouches ourselves which is why we’re calling ChestBrew POP’s a winner and we bet you can’t stop at just one POP. Where’s the one place you drink your coffee most often? Subscribe to ChestBrew for more awesome stories and to get a coupon for a discount on our ridiculously strong coffee. Shocking News Alert! Our Vietnamese Coffee isn’t the best thing in the world. True, it does make a brilliant cold brew coffee, an equally a yummy Vietnamese iced coffee and the hot brew is absolutely something to wake up for but it’s just not the best thing. Want to know what is? Simple.Three words. Project of Purpose. As a company ChestBrew sells Vietnamese coffee but as group of people with consciously aware and supportive (and super cool) consumers what we do goes well beyond sales goals and brand recognition. ChestBrew works towards creating opportunities for brighter futures. Even before the idea of Vietnamese coffee was on the table our parent company Saigonx.com knew down to its corporate core that every business it entered into, every project it considered taking on whether in the world of coffee, tech and beyond had to have one important and non-negotiable condition. A solid, human to human enriching purpose. It may not be what most big corporations encourage or are even all that concerned about in their afternoon meetings but we have no aspirations for being the next “big guy”. Our goal, with your support, is to help the little guy. It’s to create as many opportunities as possible for as many people as possible who have all the drive, need and desire in the world to build a brighter future for themselves, their children and the future of their country. It sounds like a big challenge and it is but day by day, one project of purpose at a time together we can make a radical difference. An opportunity to help those in need is determined. A business partnership is made and nurtured with all the details sorted out. An incredible product/service is brought to the U.S. and purchased by eager and awesome consumers. Revenues are divided fairly to the three parties involved. Opportunities are created, futures are made brighter and the world gets to enjoy a delicious Vietnamese coffee that not only makes life better but allows each individual a chance to be a part of an even crazier and cooler change. It’s not a quick fix but our Projects of Purpose have staying power. Their projects that offer the best to everyone and stand on their own hard working and sustainably solid feet. Those feet just happen to belong to everyone involved including yours and mine. What type of Projects of Purpose are you passionate about? Subscribe to ChestBrew for more awesome stories and a coupon to get a discount on our Vietnamese coffee.